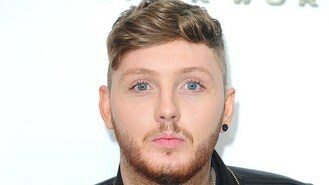 James Arthur has insisted his radio rap was not aiming to diss Rita Ora. The former X Factor winner was on BBC Radio 1Xtra's Fire In The Booth show at the weekend, where they played a pre-recorded rap by him which appeared to insult ex-fling Rita. James rapped: "I'm giving 10 million f***s less than Rita does and that's a lot of f***s. Yeah, that's a lot of f***s. Some people's auras [Oras] and demeanours can deceive us, but what they really want is a piece of your p****." The You're Nobody Til Somebody Loves You singer continued: "I am cold, fearless sticking this thing in Z listers. And I don't want to aim this venom at a f****** hater's cranium, blow the load of broken Britain on Iggy Azalea's crazy area." But James, 25, who plans to release a rap mixtape, told the Daily Mirror it wasn't aimed at insulting Rita: "I was totally bowled over by the positive reaction to my FITB on Twitter yesterday. A big risk for me and mind-blowing to get so much love. "And for the record it wasn't a Rita diss! She's a mate and I meant that I'd like to live my life to the full and give less of a f*** about everything just like she does! It's something I really respect." James briefly dated Rita in February before she got together with David Beckham's friend Dave Gardner, and she is now in a relationship with Calvin Harris. In October, James said: "Who hasn't had interest from Rita Ora? She was out with me one night and then coming out of a club with David Beckham's best friend the other night. I was like, 'Oh, f*** you then.' A lot of attractive women are d********." Busted have said they still get on well with ex-member Charlie Simpson, but he isn't joining the McBusted supergroup because he "isn't ready". Robbie Williams has claimed that he had to fork out £1.5 million to be able to leave Take That. Bookmakers are already offering odds that Busted and McFly's joint tour will be cancelled only hours after the chart acts announced they were getting together for a series of gigs. Justin Bieber's manager has said food poisoning made him quit the stage during a concert in Buenos Aires, Argentina - drawing boos from a huge crowd in River Plate stadium. John Lennon's school detention sheets are to be sold online. Katy Perry revealed she missed her man John Mayer, as she arrived in Amsterdam for the 2013 MTV Europe Music Awards. Miley Cyrus has sparked yet more controversy - after she appeared to light a rolled-up joint on stage. Rapper Eminem had triple cause to celebrate tonight - after he was the biggest winner at the 2013 MTV Europe Awards in Amsterdam.